Custom software development enables businesses to create a customized software solution built to solve their unique needs. 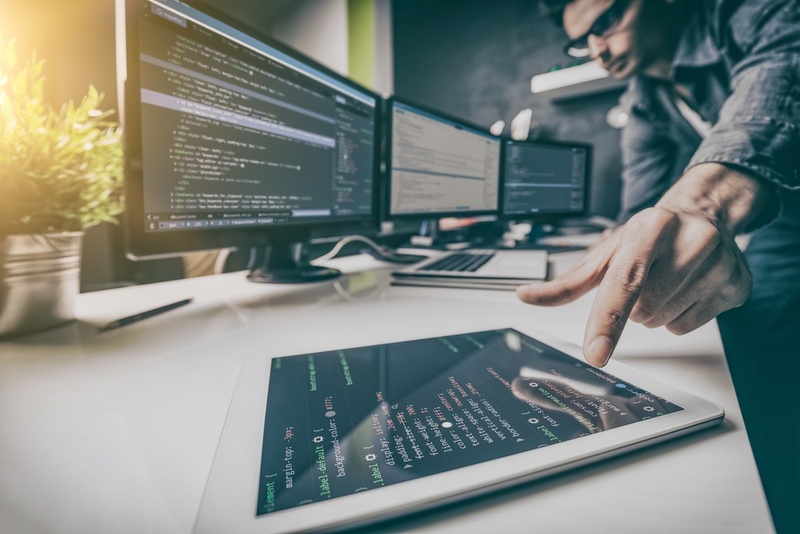 Because every business is different, custom software development has grown in popularity over recent years as an alternative to boxed software solutions. Although custom software development has some upfront costs & work required to build this solution, it provides significant benefits to a business in the long run. Below you'll find 12 key benefits to using a custom software development solution in your business. Custom software is limitless in terms of what you can develop. Custom software can grow as a business grows. Boxed software is what it comes with. If your needs are not met, you may need additional plugins or custom development on top of your boxed solution. Custom developed software is less susceptible to security issues than boxed software have. There is no gigantic bullseye on custom software like there is with popular boxed software. Custom software can be developed so you only have what you need/use so there is a lower learning curve in it’s usage. Boxed software like WordPress is a one size fits all solution and is often overwhelming with features so there is a higher learning curve to use. Custom software fills the void of software that doesn’t exist. Many businesses have unique processes/needs that can only be addressed with custom developed software. You can use your existing methods to log in to our applications. If you already have a Google G Suite, LDAP Server or other means of authentication, we can let users log in via those. No need to memorize any more passwords. Greater control over users access levels and roles. When you use existing software you are limited to their design. Our software can be styled any way you like. All your company software can have the same appearance and behavior patterns, making the environment more consistent and easy to pick up. You can realize the benefits of open source software with us. Eager programmers from across the world can help extend and improve the application with no charge to you. You can add a layer of transparency to your operations and gain more trust and visibility into your business. With custom software there is no need to change your business to conform to a software model. Focus on your business without worrying about whether or not your boxed solution will accommodate its needs. Custom software can grow and adapt as your business grows and adapts. Boxed solutions provide limits and hurdles that will slow your business down. With boxed software, you are likely paying for features and functionality your business does not need. Decrease confusion and increase efficiency by getting rid of bloated software. Don't have to work around software to make something work. When it's custom we can just build things as they should be and not worry about fitting the software or frameworks used. We can focus more on the actual product rather than the parts that make up the product. The software world exists as components nowadays. It's very easy to piece together solutions from open sourced or in house built modular components. This keeps projects lean and to the point with very little bloat and gives the ultimate flexibility in using the best components for the job. What's the biggest benefit you're hoping to receive from custom software development? Leave your thoughts in the comments below! To learn more about custom software solutions, visit SYDCON's Software Solutions page to see how we use custom software to take businesses to the next level.